Team Japan and the USA are the last teams with all competitors remaining through six days of competition at the 2018 VISSLA ISA World Junior Surfing Championship presented by Visit Huntington Beach. 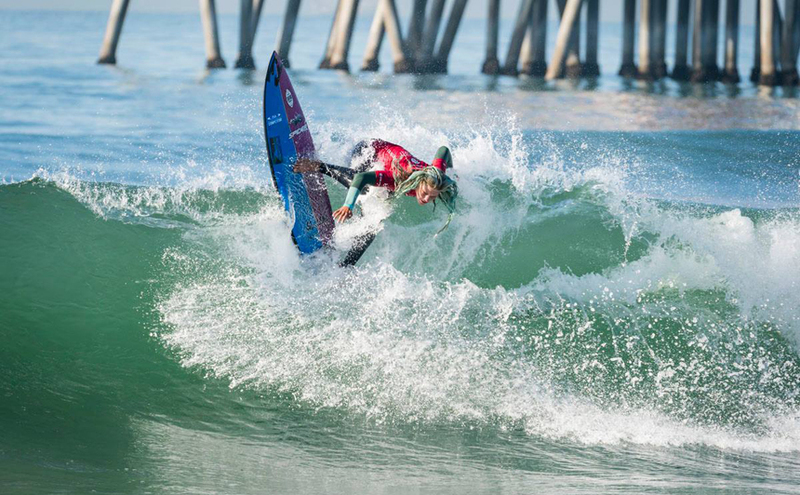 During Thursday’s competition at Huntington Beach Pier, Team Hawaii and Australia lost three (out of twelve) surfers each to the elimination Repechage Rounds, leaving Team Japan and USA tied for the pole position. Team France is sitting just outside medal position in fifth place, having lost a surfer in all four division. The South African contenders, after an electric start, have been slimmed down from 12 to just 4 with only Luke Slijpen being able to avoid the repo rounds, booking himself a place in the semifinals. Angelo Faulkner was the first to exit in the U18 Boy’s division, where he placed 3rd in his repo round 2 clash, Bryce Du Preez followed suit in the next round (3) also placing third. Of the U16 Boy’s, both Luke Thompson and Mitch Du Preez still remain, with their upcoming round 5 repo heats. Tide-Lee Ireland was knocked out of the competition in his repo round 4 heat, placing 4th. Perhaps Tide should have shaved his head like Luke and Mitch? Zoe Steyn, surfing two divisions, still has a shot at making the podium in the U18 Girls division and is yet to surf her repo round 6 heat, following her round 4 exit where she placed 3rd. Gabriella Lailvaux and Tayla de Conning did not fare as well and were eliminated in repo round 3 both placing 4th in back to back heats. The U16 Girl’s division was hit hard in repo round 4, which saw Zoe Steyn, Kayla Nogueira and Ceara Knight all exit the competition. To the 4 surfers who remain, best of luck, to those who were eliminated, enjoy your time left in Cali and know you did your country proud.